For a great place to live, should you go back to school? American college towns are uniquely appealing places to live, and we don’t just mean for the kids. What can you expect from a true university town? Vibrant nightlife. Tons of cultural events. A young, fun, and (usually) progressive vibe. And, thanks to the colleges themselves, plenty of job opportunities. What’s not to love? Because of all this, buying in a college town could make sense for you as an adult. (We’ve already told you why buying a condo for your college kid could be a smart move.) But where? After all, the college town most people know best is the one where, well, they went to college. So how to rank the rest? By taking a big collegiate dive into the exclusive realtor.com® data, of course! Just across the bay from San Francisco, Berkeley is home to the first and most renowned campus of the University of California system—as well as Berkeley City College and a variety of theological institutions. Berkeley itself ranks as the most liberal city in California today. Like the rest of the Bay Area, Berkeley’s housing market has soared due to the tech boom. Its current median home price is $849,000. Santa Cruz is a classic California beach town, and home to another excellent University of California school. UC-Santa Cruz, just 3 miles from the (beautiful) beach, is also the city’s biggest employer, providing nearly 8,000 jobs. Santa Cruz continues to find itself among the most expensive U.S. real estate markets with a median of nearly $814,000. With a gorgeous mountain setting and an outdoorsy lifestyle, Boulder consistently ranks on lists of the best U.S. cities to live. CU-Boulder, the flagship of the University of Colorado system, and local companies IBM Corp. and Ball Corp. provide steady jobs to the locals. One of the hottest housing markets in the country due to limited inventory, Boulder has buyers lining up for homes at a median of $789,000. A charming town on California’s Central Coast and a hub of its wine country, San Luis Obispo is also home to California Polytechnic State University. Cal Poly owns almost 10,000 acres of land and, along with its supporting facilities, provides more than 4,300 jobs. However, the limited supply of homes has pushed up the median price to $690,000. A twin city to Boston, Cambridge boasts two of the best colleges on the planet: Harvard University and the Massachusetts Institute of Technology. Universities provide nearly 20,000 jobs to the city, and the well-diversified economy led by high-tech research institutions offers even more opportunities—unemployment in Cambridge is only 3.5%. The upscale market has a median home price of more than $685,000. Claremont, sometimes called “the City of Trees and PhDs,” is home to a loose network of five undergraduate liberal arts colleges, two graduate institutions, and Claremont University Consortium. With a median household income of $87,324, more than 40% higher than the state average, the city sees no shortage of well-paid professionals looking to settle down, driving the median home price to $675,000. Princeton’s namesake university currently sits atop the Best U.S. Universities list and joins with established companies and institutions in the area to create steady, high-salaried jobs. The city’s median household income is $109,865, and the median home price is $650,000. With outstanding programs in agricultural and biological sciences, University of California–Davis also has deep connections with the agribusinesses of nearby Napa Valley, creating a strong interconnected economy. As the university attracts more and more students, the median home price in Davis has shot up to $579,000. This picturesque town is home to the University of North Carolina at Chapel Hill, celebrated as the “public Ivy.” The university and its health care system contribute to a booming economy in Chapel Hill. In addition, UNC and nearby Duke University and North Carolina State University form the “Research Triangle,” home to many high-tech companies and enterprises. With a median home price of $450,000, Chapel Hill has become one of the state’s most expensive markets. Flagstaff, the gateway to the Grand Canyon, is also home to Northern Arizona University. NAU has something for everyone: accredited undergraduate research, an art museum, and Division I athletics. Flagstaff’s convenient and picturesque location has driven the median housing price to $431,750, almost double the state median. In today’s housing market there are some unmistakable trends that I’ve commented on in recent articles. The number of owner-occupied dwellings is dropping while rental vacancies are vanishing. Put another way, recent data from varying sources—including the Census Bureau—verifies that vacancy rates have fallen to a 30-year low. Residents are finding fewer choices available to rent than at any time since 1985. At the end of the 2nd quarter of 2015, the vacancy rate plunged to 6.8% while the year-over-year growth in the number of new households jumped from 115 million to over 117 million. No wonder rental housing availabilities are dropping! Some developers call it “The Perfect Storm.” In the aftermath of The Great Recession that began back in 2008, fewer and fewer adults can afford to own a home. Lending qualifications have tightened as well. At the same time, employment numbers took a huge hit. The number of unemployed soared while companies cut back on spending and operating costs. Employment numbers have improved during the last two years, yet the actual wages paid have hardly increased. Wages and benefits paid by U.S. employers this past spring rose at the slowest pace since the second quarter of 1982, the Labor Department revealed. The employment cost index, which tracks salaries, wages, and benefits gained 0.2% in Q2, compared with a 0.7% gain in Q1. These factors contributed to a slowdown in new construction of multifamily complexes and apartments. While new buildings have begun to be built there’s a lag time before they’re ready to rent. The construction lag helps fuel demand and, subsequently, rental rates will continue to rise for at least the next five years as the Millennial Generation continues to delay entering the homeownership market. “Millennials” as they are often dubbed, mainly refers to the generation of people born between the early 1980s and the early 2000s. Perhaps the most commonly used birth range for this group is 1982-2004. The Millennials are also known as Generation Y, because it comes after Generation X—those born between the early 1960s and the 1980s. The population of Generation Y is believed to be over 80 million in the U.S. alone. This huge demographic group has been slower to leave home than their parents’ or grandparents’ generations. The economic fiascos of the past 15 years have made it more daunting for Millennials to strike out on their own. According to a Pew Research Center analysis, a young adult in the 18-to-34-year-old age range is more likely to live with his or her parents now than in 2008. Reasons include student debt and increasing housing costs. This reality has powerful ramifications for the overall economy and for the housing industry specifically. As a result, property managers all across America are becoming active in the possible solutions. Working in close cooperation with local and regional housing authorities, property managers are networking to come up with viable ideas. Some are forming ad hoc task forces to make things happen. As a critically important election year approaches, property managers are also letting political candidates know that landlords, property owners, and residents are deeply concerned. Historically low vacancy rates coupled with a rising number of motivated applicants leads to shortages and rental rate inflation. Consider taking an active role in offering ideas that will benefit all involved. This article originally appeared on PropertyManager.com. 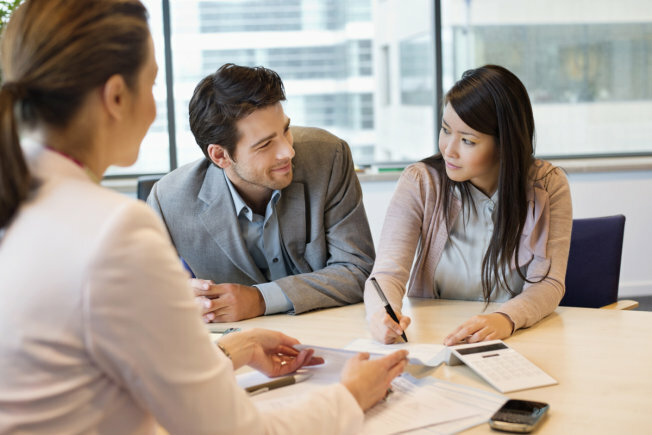 Once you’re on track with your financial goals – such as retirement contributions or repaying student loan debt – you may find yourself exploring real estate investments in lieu of the stock market. Buying real estate as an investment can be lucrative, but it’s also cash-intensive and carries risks. As you weigh your options, consider the following points in your analysis. Risk versus expected returns. Whether putting cash into the market or purchasing real estate, you need to assess the risk versus the expected returns. Traditional equity investments are much easier to analyze in this way. You have historical data, and although past performance is not indicative of future results, you have a bit more control over how much risk you’re exposed to when deciding what amount to invest, the asset allocation and so on. Investing in single stocks versus an index fund is a calculated risk some are willing to take in search of higher expected returns. The risks when buying real estate can be much harder to quantify. While there is data available, such as comparable home prices in the area and average rents, unpredictable changes in the market can be costly. When investing in the equity market, your risk of loss is limited to your initial investment. 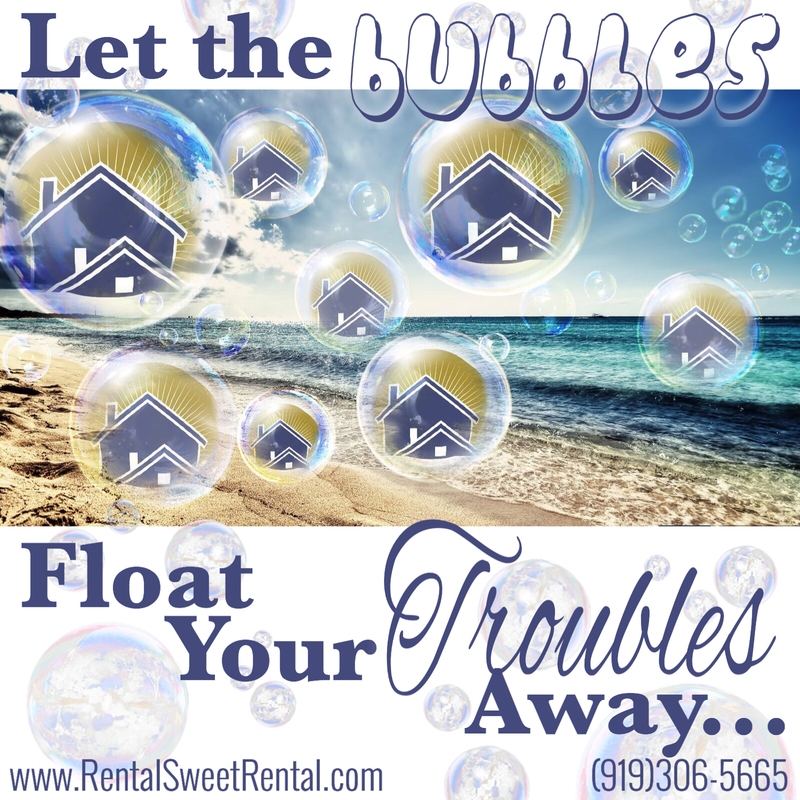 This isn’t the case with real estate – you could wind up owing the bank more than the value of your property if the market experiences a downturn, or even due to changes that negatively impact a neighborhood. For landlords, vacancy and repairs can eat into profits. Once you calculate your expected mortgage, operating costs, taxes and maintenance, how much can you expect to earn in net rental income? The answer for every investor will be different, but for some, the anticipated return will not be worth the risk and effort involved in owning real estate. Required capital. Virtually anyone can invest in traditional equity assets. Some shares can be very inexpensive and you can often determine the volume as well. The same cannot be said for real estate. To purchase a property, you need to either come up with a down payment yourself, or enlist partners to invest with you. Typically, you need to put down 20 percent for a traditional mortgage, and although various programs can help you to put down a smaller percentage, there are fewer options for investment properties. The initial cash outlay is what deters many would-be real estate investors, as you could easily spend upwards of $100,000 on a down payment and initial repairs. Furthermore, real estate requires additional capital to maintain the property, often not at the owner’s behest. With stocks, you can make a one-time investment or purchase additional shares later, at your discretion. Taxes. Another aspect to consider when deciding to invest in real estate or the stock market is taxes. If you own property, you will be required to pay property taxes every quarter, based on the assessed value as determined by the city or country. This is included in your mortgage payment. Whether you want to flip the property or hold onto it as a landlord, you will also have to pay tax on the sale or rental proceeds. There are certain tax benefits unique to owning real estate as a landlord, however. The interest expense on your mortgage is tax deductible, along with operating expenses, property taxes, insurance and depreciation. Exactly how much you can deduct will likely depend on the rental income. In most situations, under the passive activity loss rules, you cannot write off deductions that are more than the rental income, which would generate a loss. Working with a CPA can be very helpful, particularly when investment properties or multiple residences are involved. Stocks have tax consequences as well; first, you are required to pay a capital gains tax on any profits you made from selling stock. Furthermore, even without a sale, you are also required to pay a tax on any dividends you receive. Inflation. Real estate can be a potential hedge against inflation as historically, rental rates and home prices rise with inflation. This provides a potential inflation hedge for both your rental income and sale of the property. Since your mortgage payments will not increase with inflation, it offers a benefit over time. Traditional equity investments are not as directly linked to inflationary measures. Although prices do tend to rise over time, the market cannot offer the same potential inflation protection as real estate. Time. Another factor to consider when choosing to invest in real estate or the stock market is to factor in your time as a cost during the analysis. While you do need to do some research when deciding which funds to buy, you can purchase traditional equity investments in a matter of moments. There is a lot more time required in buying and maintaining a property, as well as managing any improvements.As a landlord, you will be on call for the tenants as problems arise. Hiring a property manager is an option, but depending on the size of your property, could eliminate your profit margin. With the right property, neighborhood location and cash reserves, investing in real estate can be a great option. 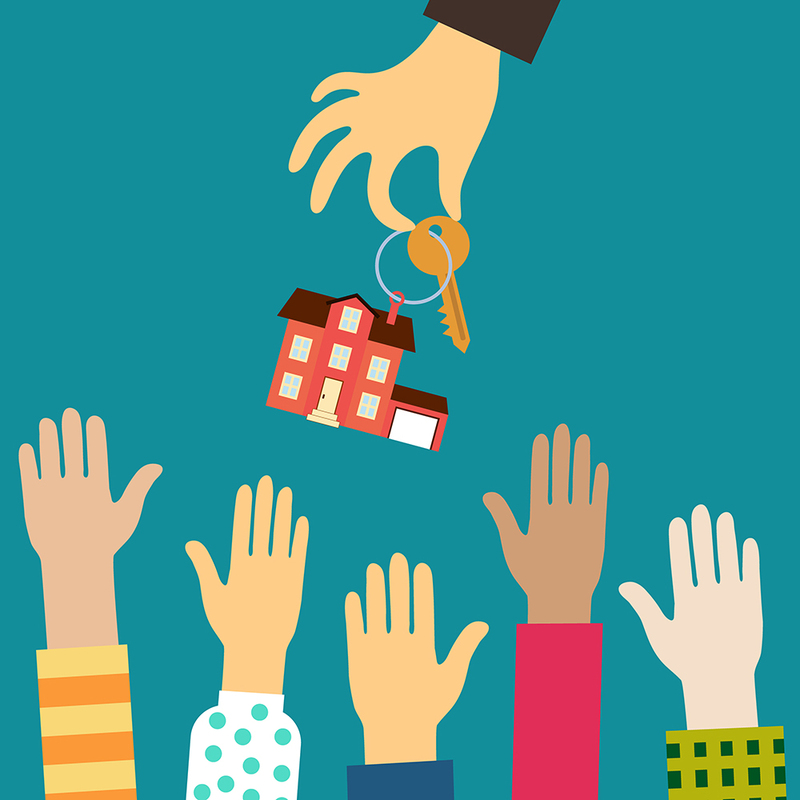 Many investors are drawn to the ongoing “coupon” payment of rental income, and as a long-term strategy, the ultimate sale of the property can fund a large portion of their retirement. If you’re considering whether you should invest in the equity market or buy an investment property, carefully weigh these factors and determine whether your expected income is worth the risk it carries, especially in light of other investment options. 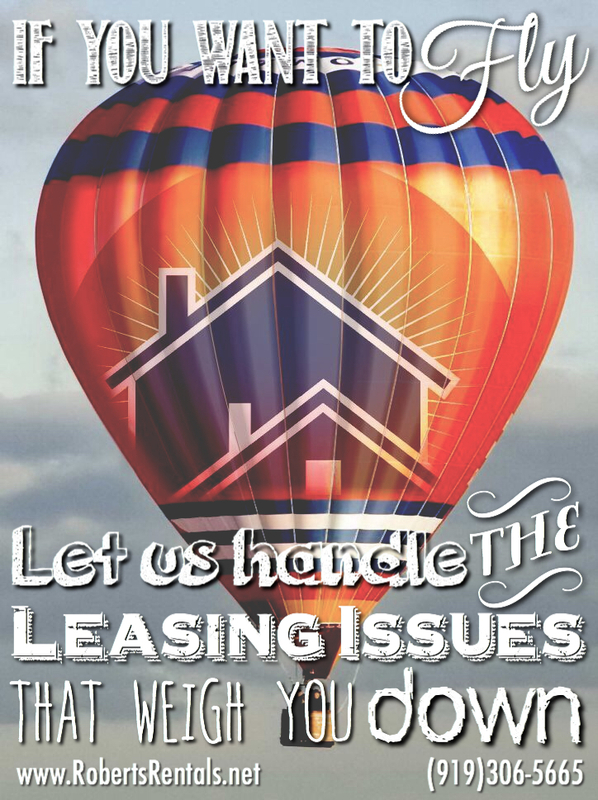 If You Want To Fly, Let Us Handle The Leasing Issues That Weigh You Down! 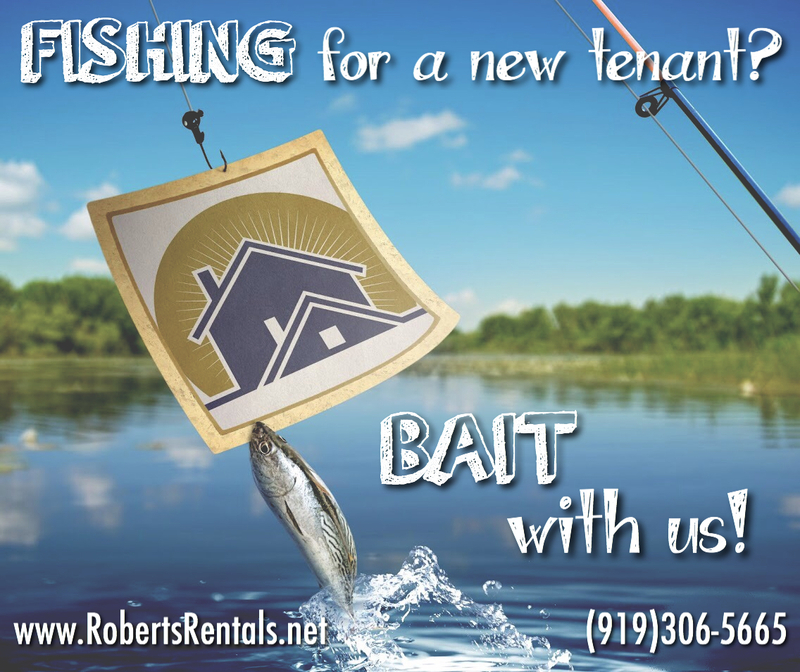 Fishing for a new tenant? Bait with us!